Along with the requisite iPod dock, natch! Will 2009 be the year that Internet Radio goes mass market? Or will it continue to be a 'hobbyist' scene? If you are thinking of buying into the internet radio 'scene' yet also want to be able to play all your own 'choons' then Asus new AIR3 could well be the audio device you never knew you'd been looking for. Asus has managed to combine a decent tabletop iPod dock with a beefy-sounding internet radio with the AIR3. Sound quality is sure to be pretty damn good, what with the AIR3 packing a Texas Instruments Class-D amplifier and HDSS (High Definition Sound Standard) certified drivers to ensure clarity and a decent bass-boosting 36w of music power. Will internet radio go mass market? 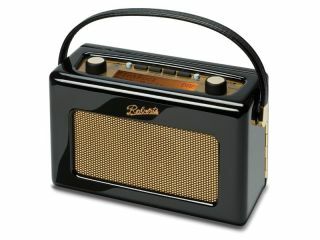 Many radio fans are saying that 2009 could well be 'the year' that internet radio goes mainstream. There are certainly now enough decent and affordable devices on the market to help that happen, although there are also times when having instant access to over 10,000 stations becomes a little overwhelming (ie those times when we crave familiarity and head straight back to our DAB favourites such as 6music, XFM or BBC Radio London!). However, for those that are a little more experimental in their tastes or just willing to spend a lot of time surfing the world's thousands of radio stations on offer, an internet radio such as the Asus AIR3 really is a must. Asus UK should let us know more on the pricing and release dates for the AIR3 when they arrive back in the office next week! For pics of Asus' new internet radio head over to Engadget.